Owning a custom home is more affordable than you might think. 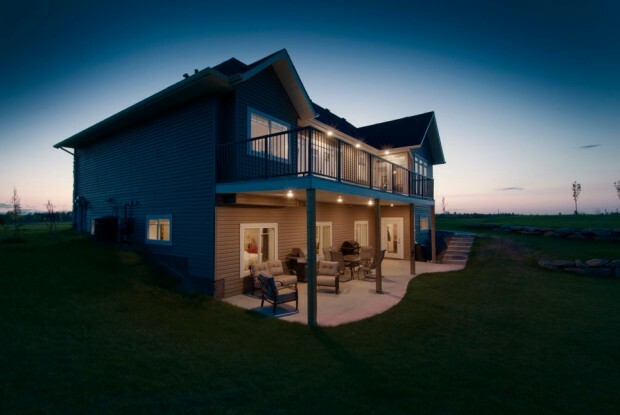 Custom home builders in Calgary like Fine Line Homes create strikingly beautiful and energy-efficient homes in all price ranges. There are plenty of strategies that budget-conscious homeowners can use to reduce construction costs. By carefully choosing your lot, your floor plan and your home’s design and interior features, you can trim expenses without cutting corners…literally. Size matters. The average size of a newly built house is growing, but does it need to? While larger houses may look impressive, they are also more difficult to maintain and their operational costs are higher. How much space do you need to really be comfortable? Being modest when it comes to sizing your home could save you tens of thousands of dollars. However, be sure to take the future into account when sizing your home; if your family might be growing, plan accordingly. Keep things simple. When finalizing your home’s exterior design, keep things clean and simple. Avoid needless embellishments and opt for geometric shapes and a minimalist aesthetic. This will reduce costs as well as construction time. Open up. An open floor plan is the easiest and least expensive to build. The fewer interior walls you have, the less building material you’ll need to execute construction. Moreover, an open floor plan makes your home’s interior appear larger than it really is. If you’ve opted to reduce the size of your home, going with an open floor plan is an excellent idea. Simplify the details. You can keep things simple indoors as well as outdoors. Opt for clean, stylish and cost-effective interior finish options. Avoid being flashy when it comes to trim and room accents. Unnecessary design details add nothing to your home’s livability, but they add a lot to its price tag. Research construction materials. Do your homework when it comes to construction materials for both the exterior and interior of your home. What are the most cost-effective choices? Take a long-term view. For example, it will cost more to invest in metal roofing, but metal roofs last far longer than asphalt shingles, all while improving your home’s energy efficiency and increasing its resale value. Make these considerations for every material, from your masonry and roofing to your flooring, walls, tiles and counter tops. Be strategic about your spending. You don’t have to be a minimalist with every aspect of your home’s design, but be smart about where you spend your money. For example, kitchens, dining rooms and living rooms are the most commonly visited areas of the home. If you’re going to splurge, these are the rooms to splurge in. It’s also a good idea to consider outfitting the home with higher-end bathrooms, as kitchens and bathrooms attract the most attention from would-be buyers on the resale market. Home recycling is an increasingly popular cost-cutting strategy that also helps the environment. You can repurpose your existing lot by transforming your current house into a new custom home, all while salvaging as many building materials as you can. It also helps you save money on site selection, since you already own the lot you’re going to build on. Finally, think beyond construction costs and look carefully at operational costs. Investing in LED lighting fixtures and energy-efficient appliances and HVAC systems can dramatically cut your year-in, year-out costs while reducing your carbon footprint and boosting your home’s value. The Calgary custom home experts at Fine Line Homes are happy to educate you on the many ways to keep your construction costs down. Keeping your custom home affordable doesn’t necessarily mean that you have to make major sacrifices. Our design, engineering and construction professionals can help you select the materials, floor plans, and exterior and interior features that deliver the lifestyle benefits you want while keeping costs as minimal as possible. To learn more, or to get a no-obligation estimate for your new custom home, please visit us online or contact us. We’re happy to answer any questions you may have.